The Nikon D5 isn’t a casual snapper, as you probably guessed if you’ve sneaked a look at the prices below. No, we’re talking about a premium, professional-grade piece of kit here – but that doesn’t mean you should get ripped off. Take a look at our comparison chart below for the most up-to-date prices on the Nikon D5 camera. The Nikon D5 is a fast and responsive camera that’s more than capable of shooting in low-light conditions. Thanks to its 12fps continuous shooting rate and accurate 153-point AF system, it’ll freeze precise moments in time with ease. It’s a sturdy beast as well, so it’ll take a few knocks and survive a bit of rough weather when you're shooting outdoors, waiting to nail that perfect shot. The new touchscreen is also a useful addition, not something we've traditionally seen on pro-level bodies but it can make life easier when selecting the AF point and reviewing images. 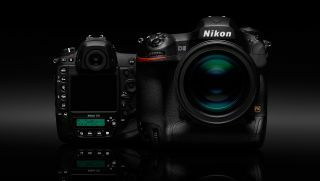 If you’ve used Nikon’s D4 in the past, the infamously unusual control arrangement won’t be a problem, but it could take some adjustment if you’re coming in fresh to the design. Current D4 owners might find the 25% increase in pixels hard to resist too. As for you newcomers, it’s certainly worth making the adjustment to the D5's controls, especially if you’re looking for a great camera to capture long sequences of shots. The Nikon D5 is a pricey investment to be sure, so make sure you’re not paying more than you should by checking out our extensive comparison chart below for a range of the best prices on the net.